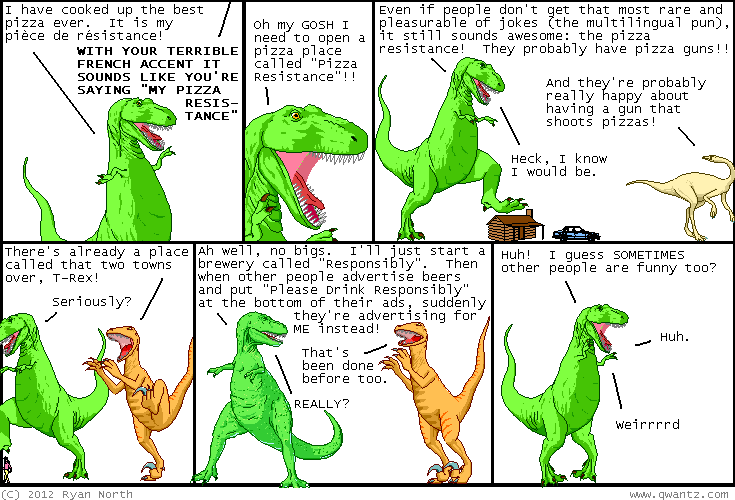 Dinosaur Comics - May 22nd, 2012 - awesome fun times! –Today is the day we mess with people who have tattoos! May 22nd, 2012: Charles, Prince of Wales and heir apparent of the Commonwealth realms was mere kilometres from my house when he came down to see the big Queen Victoria fireworks show last night and he didn't stop by to say hi even ONCE, and that's pretty much all I have to say about constitutional monarchy.